One major tourist destinations in Asia is Thailand which is situated at the heart of South-East Asia and is among the many countries that have magnificent virgin islands, scenic attractions, stunning beaches, breath taking hills, caves and waterfalls, all scattered throughout the country. According to surveys, Thailand is on the top spot on the list of the most hospitable places for a vacation in the world followed by Australia and Greece. 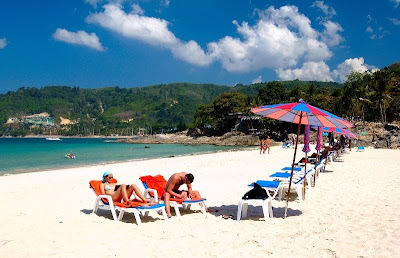 And one of Thailand's most sought after beaches is Kata Beach and is known for its white sands and clear waters. A lot of tourists visit the beach all year round to enjoy sun bathing over the magnificent palm-lined shoreline plus the many great delicacies from restaurants and bar near the beach. When it comes to hotel accommodations, the newly built Ibis Phuket Kata is just one of the best choices of simple and trendy hotels. The light-filled and modernly inspired lodge is just a few minutes away from Kata Beach. The hotel features its 258 rooms all complete with food and drinks plus a 24-hour service. 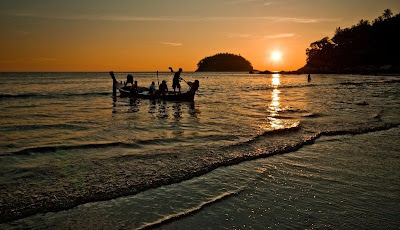 So if you intend of having a Thai vacation, be sure to visit Kata Beach and have your stay at Ibis Phuket Kata Hotel.